In addition to a comprehensive range of first aid boxes, as well as individual bandages and dressings for use within the home, Stepps Pharmacy can provide tailored First Aid solutions for commercial enterprises. We can fulfil the first aid needs of offices, shops and factories as well as other organisations required to keep first aid supplies – schools, churches and private clubs. 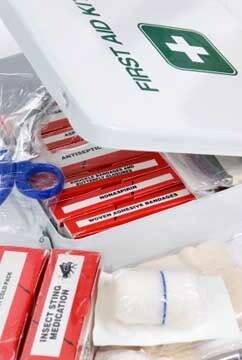 So whatever your first aid requirements may be – speak to Stepps Pharmacy for first class advice.